The top 20 home security companies are the ones that not only generate the most money, but also the companies that sign up the most customers. This gives you a good idea of which companies are doing the best and which ones you may want to take a closer look at. 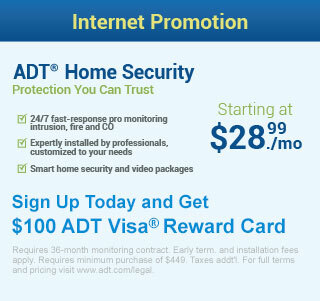 The number one company is ADT in San Diego, CA followed by Protection One. These are the top two companies and they also have great reputations. This is the reason that they have been in business for so long and have the vast amount of customers. The number four home security company is Monitronics International Inc, followed by Stanley CSS, and Slomins Inc. APX Alarm Security Solutions Inc, Vector Security Inc., Guardian Protection Services, and Bay Alarm Company round out the top ten. These are all companies that have proven to generate the most sales and attract the most customers. Eleven through twenty have also had success with number eleven being ASG Security, followed by Protect America Inc, Interface Security Systems and The Greater Alarm Company, Devcon Security Services Corp, and Guardian Alarm Company. Number sixteen is Central Security Group, then CPI Security Systems Inc, AFA Protective Systems Inc, Alarm Capital Alliance II LLC, and number twenty is Safe Home Security Inc. When you are looking for the right security company in your area you want to look for a company that boasts good customer service. This is very important if you have an alarm system installed and then you have questions that you need answered in a timely manner. If the customer service is not available you may have a system that is not working and no one to help you. This can be a very frustrating experience for any homeowner and you can avoid this by finding a company that values good customer service. You may want to talk to anyone you know that has recently purchased home security system to find out what company they chose and what their experience was like. 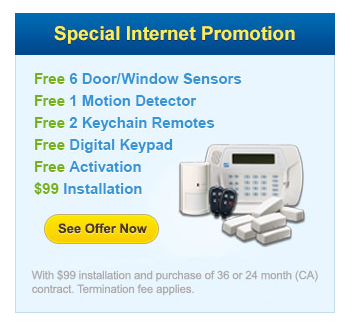 This can give you inside information and you will then be able to pick from the top 20 home security companies. You will get an insiders view on how the entire process works and how the company they chose worked out for them. The top 20 home security companies list can help you to find a great security company in San Diego or anywhere else in America with a good reputation. When you take some time to find a good company, you can save a lot of time and money in the long run.